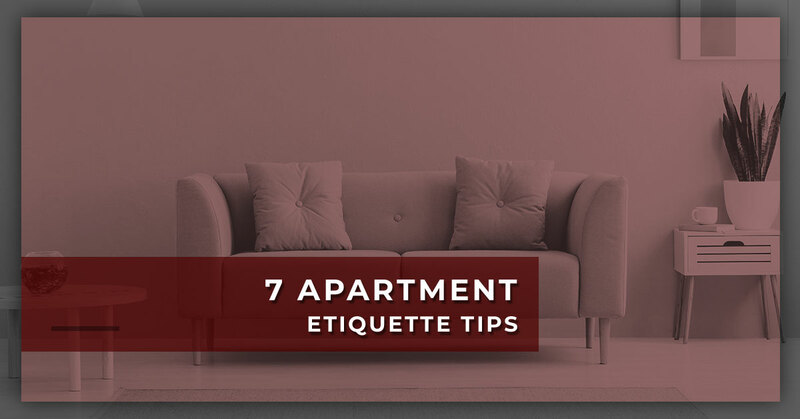 Just because you might be living in an apartment for the foreseeable future doesn’t mean you’re excused from being a good neighbor. There’s no question that a community of residents who respect one another will have a much more positive living experience. This is easily the most obvious one on the list. Because apartment walls are thin and you’re in such close quarters to your neighbors, it’s important to always be considerate with noise. If you plan on hosting the occasional party, you may want to alert those in adjacent units several days in advance. Renters who choose not to keep their decibel levels reasonable could wind up being handed a noise citation. We love dogs at Gateway Place Apartments. Not only does our complex feature an extra large private dog park, but we also allow two pets per apartment of any combination. But make no mistake about it — your four-legged friend needs to be a good neighbor, too. A pup that’s constantly barking or howling is sure to get you in hot water with neighbors, as well as your landlord. There are far too many people who treat the roads in and around their apartment complex like a race track. All it takes is one reckless driver and one kid playing a little further out from where they should be for a serious accident to occur. So do your community a favor and always drive slowly and carefully in the parking lot. Speaking of parking lot etiquette, let’s discuss designated spaces for a moment. Few things are more frustrating than coming home after a long day only to realize someone parked in your spot. Stick to your designated space whenever possible and, if there’s a discrepancy for whatever reason, bring up the concern with your landlord. This is another big one. Let’s say you’re out for a run in some new kicks. Not even 100 strides in, you step in a pile of dog poop and completely ruin a shoe. Unless you want to be called out by fellow residents and potentially cited by the city, always clean up after your pup. Remember as a kid when you learned to always leave a place in good condition when you left it? Well, that idea certainly applies to living in an apartment complex. Here at Gateway Place Apartments, we offer a number of community amenities, including a pool, fitness center, pool table, picnic area, grill station, and video library. Please remember to respect our amenities so that your neighbors can enjoy them as well! It’s easy as an apartment dweller to care about your specific unit and nothing else. At Gateway Place Apartments, we think of our residents as an extension of our own family. That’s why we go above and beyond to ensure our residents feel safe at all times. But if you ever find yourself in a situation where something looks suspicious, please report it to the staff and/or local authorities. It takes the right people to make an apartment complex feel like home. 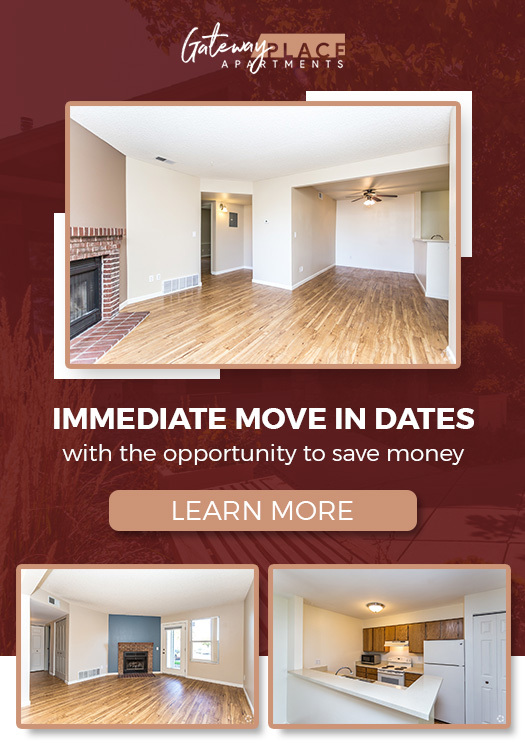 At Gateway Place Apartments in Greeley, we’re not about selling someone on one of our units and then doing the bare minimum to keep them happy. In fact, we’re constantly looking to make improvements to our complex. Gateway Place has several floorplans available for your convenience, including one-bedroom, two-bedroom/one-bathroom, and two-bedroom/two-bathroom options. Every unit features a fireplace, pre-wiring for cable and internet, heat and central air conditioning, and other attractive amenities. If you’re interested in having a vaulted ceiling and skylights in your unit, be sure to ask about our third-floor availability. At Gateway Place, we are transforming the way Greeley residents view apartment living. If you’d like to live where you eat, shop, and play, Gateway Place is the place to be. Contact our staff today to schedule a tour of our complex.